Mandarin Oriental Wangfujing, located in the heart of historic Beijing, with spectacular roof-terrace views of the Forbidden City, will open its doors in early 2019, the first Mandarin Oriental property in China's capital. It will be positioned as the city's most luxurious boutique hotel and will feature the Group's core pillars of chic design and architecture, exceptional dining facilities and a Spa at Mandarin Oriental, offering the latest wellness and beauty facilities. Above all, guests will be treated to the exceptional levels of legendary service for which Mandarin Oriental is renowned. 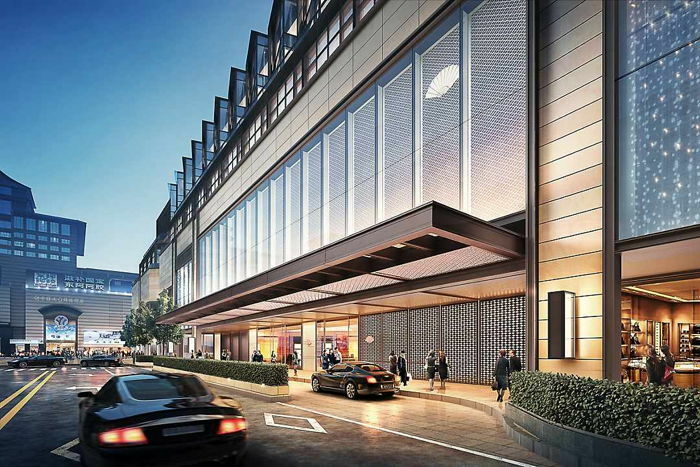 In keeping with the Group's reputation for dining excellence, Mandarin Oriental Wangfujing will have two stylish restaurants and a rooftop bar – all with access to a spectacular garden terrace. Café Zi will offer all-day dining, specialising in Asian cuisine and featuring a signature lunchtime dim sum selection created by Michelin-starred Hong Kong chef, Wong Wing-Keung. Mandarin Grill + Bar will feature classic grill-style dishes with interiors by Adam Tihany, while MO Bar will serve innovative cocktails and feature resident and international DJs. Within walking distance are the Forbidden City, Tiananmen Square, the National Museum and the National Art Museum of China. The historic hutongs (alleyways) of Beijing, known for their charming courtyard homes, are also dotted around the district, as are ancient, tucked-away temples. Other easily accessible attractions include, the Temple of Heaven, the 798 art district and the Summer Palace. China's most iconic site, the Great Wall, can be reached in under 90 minutes. "Mandarin Oriental Wangfujing will become the prime hotel address in Beijing this winter, offering supreme comfort, impeccable service, incredible cuisine and an unmatchable garden-terrace view of the UNESCO-listed Forbidden City", said Mark Bradford, General Manager of Mandarin Oriental Wangfujing. "We are looking forward to welcoming guests very soon," he added.